The hosts started the stronger of the two sides, conjuring up most of the chances in the early exchanges. Oscar de Marcos was denied a penalty when the ball had struck Nelson Semedo’s arm, before Yuri Berchiche wired his shot wide. Barcelona then had Marc-Andre ter Stegen to thank as the German kept out Markel Susaeta’s effort. The visitors slowly grew into the game, with Luis Suarez coming close in the 22nd minute, when found by Lionel Messi. On the other end, ter Stegen brilliantly denied Bilbao once again, with Raul Garcia left aggrieved this time. Barcelona then had their biggest chance of the night, as Messi struck the woodwork. 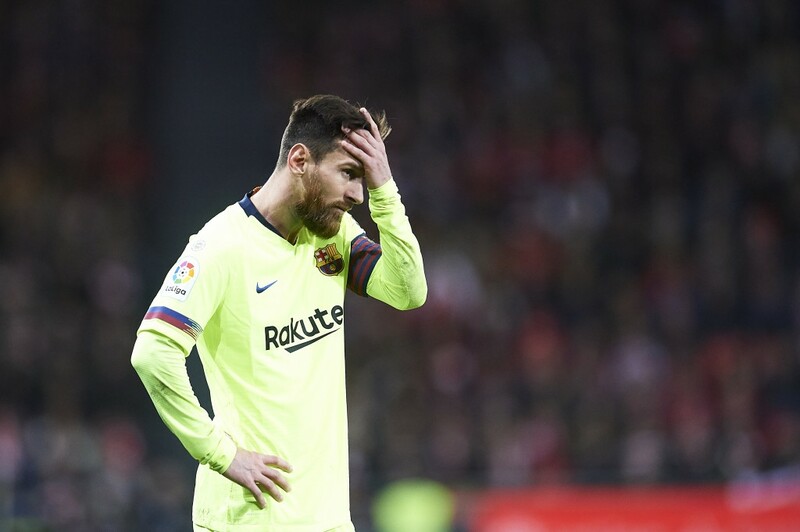 Bilbao had indeed edged the first half, but it was the league leaders who came out of the break in the mood to get the result, with Messi coming close again. Meanwhile, Bilbao only managed to compose themselves midway through the second period, with Mikel San Jose and Inaki Williams being left with their hands on their hips this time. As the game neared its end, Bilbao looked likelier to score, but were left frustrated again by the colossal ter Stegen, whose instinctive save thwarted Williams. The hosts though, ended the match with 10 men as Oscar de Marcos was sent off on his second successive game for handling the ball. The match though, ended in a goalless draw, as there was to be no late drama. But, Barcelona still ended up stretching their lead atop the table to six points, although they have seen bitter rivals Real Madrid close the gap to them yet again, following their 3-1 win over Atletico Madrid on Saturday. The Hard Tackle now runs the rule over Ernesto Valverde’s men. It is not often that a goalkeeper gets a perfect rating for a performance. But, Sunday was one such day, with ter Stegen being absolutely sublime, making a number of brilliant saves to preserve his clean sheet and keep Barcelona in the game. Two saves, in particular, stood out. The first saw him leap acrobatically to deny Markel Susaeta in the first half, with the other one being an instinctive stop to thwart Inaki Williams. Has saved 30 of the last 34 shots that he has faced, and without him, Barcelona would definitely have suffered their third league defeat of the season. Roberto has not quite been at his best since making his return from injury. And, the outing against Bilbao was another struggle for him. Yuri Berchiche had his number plenty of times, while the Spaniard did not muster up any meaningful chances for his side. Back to the drawing board. Against an Athletic Bilbao side that never looked like they wouldn’t score on the night, Barcelona needed at least one defender to step up; and Pique did. The usually tricky Inaki Williams did not pose a great deal of threat, bar the odd chance, largely due to Pique’s diligent work at the back. Getting back in form at the perfect time. It was a tough game for Lenglet, who was caught out a few times against the rampant Athletic Bilbao attack. The Frenchman also picked up a booking for a challenge on Williams, and ended the night going off for a knock that Valverde would hope is not serious at a time when the injury troubles are starting to stack up. The second successive weekend wherein Jordi Alba had to be deputized by a makeshift left-back. This time, Nelson Semedo started on the left flank, and the Portuguese was much more solid than Roberto was last week against Valencia. Did suffer a few moments of concentration lapse, but contained Susaeta well for the most part. Did not pose as big a threat in the final third as he does from the right flank. 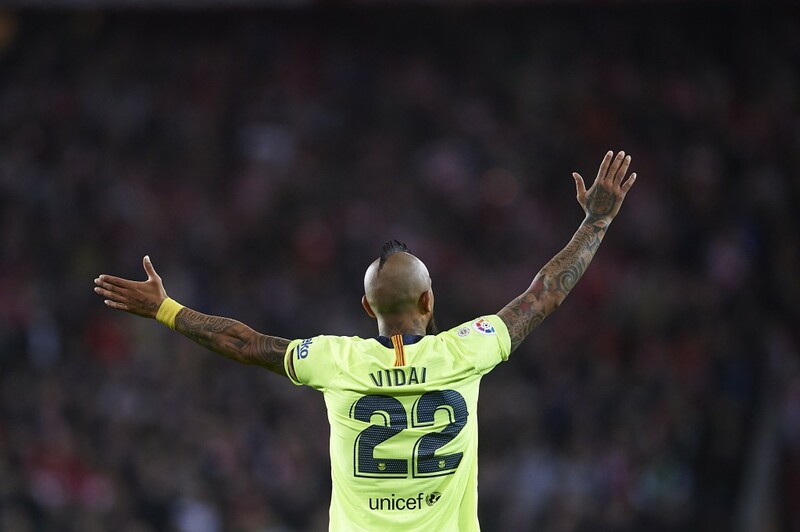 Arthur’s injury layoff is seen as a chance for Vidal to nail down a spot for himself in the side. But, the Chilean midfielder did not begin that pursuit well. Sloppy on the ball, which meant Barcelona lost momentum at different stages of the game. Taken off for Carles Alena, who will fancy his chances of starting the next game. It was a game of two halves for Busquets, who struggled against the Athletic Bilbao press, with the hosts bypassing him unusually easily. Helped Barcelona dominate the proceedings for large parts of the second half by setting the tempo of the game effectively. One of the rare blips. Rakitic has been Mr. Consistent for Barcelona this season, but he was not quite there on Sunday. While the Croat grafted along all through the game, he could not create much, which is what had Barcelona lagging on the night. Another with a rare sub-par outing. The match at San Mames showed that Messi is still not fully sharp after his recent niggle. 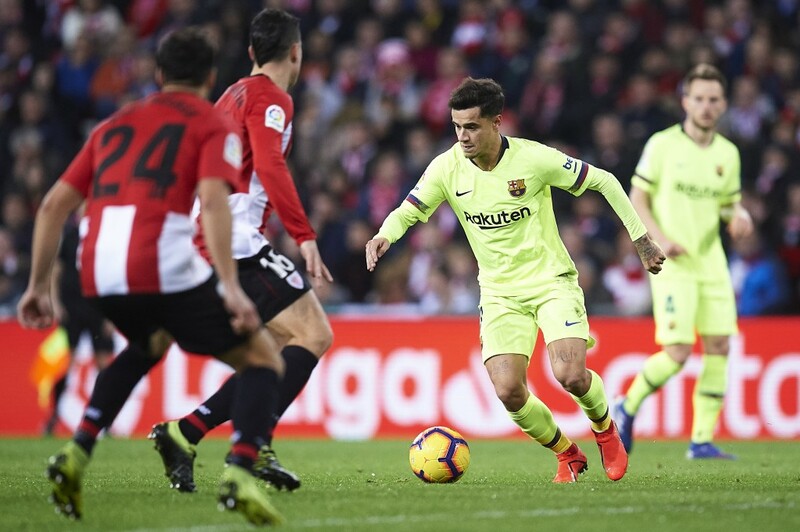 But, the Barcelona captain still carried the biggest threat for his side against Bilbao, coming the closest for his side, to breaking the deadlock while also creating a glorious opportunity for Luis Suarez. Quite damning that the Argentine was the best outfield player on show for the visitors even when he was not 100 per cent. What has happened to Luis Suarez all of a sudden? 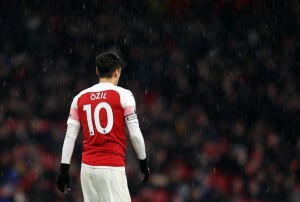 In irresistible form till the winter break, the striker’s performance levels have fallen off a cliff, and he is just not clinical enough lately. Typically worked hard but needed to convert the chances he did get, most notably the one created by Messi. Another night, another game wherein Coutinho just failed to turn up. The Brazilian did have an odd moment of promise, but the game largely passed him by. With Messi still not fully fit, Barcelona needed the Brazilian to step up. Instead, his struggles continue. With Ousmane Dembele back, his place in the side is in danger. On for Vidal, Alena was an instant upgrade. But, he could not do enough to inspire a win for Barcelona even though he looked bright. Should ideally start ahead of the Chilean next week. Dembele was given the final 15 minutes to build up sharpness. But, while he did do that, he could not do much to ensure the game did not end in a draw. Should be back in the starting lineup soon enough. Introduced for the last few minutes, with Lenglet struggling with a knock.